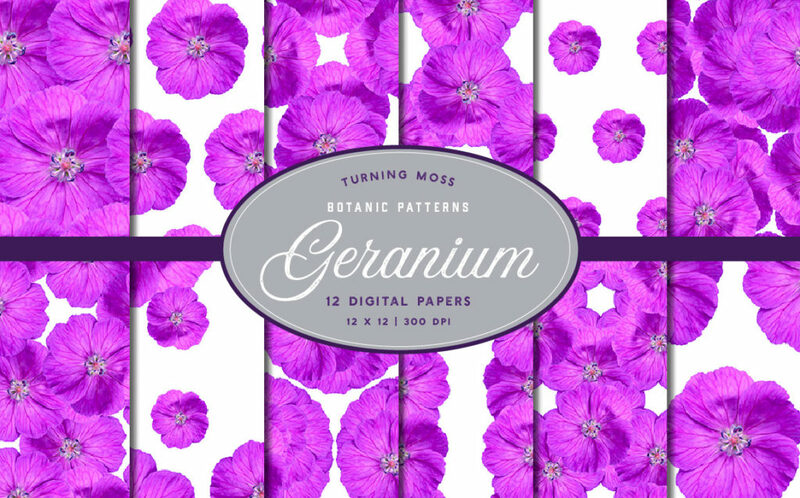 Inspired by nature, these botanic patterns are made with REAL Geranium flowers. Each pattern is made with natural photographic elements. 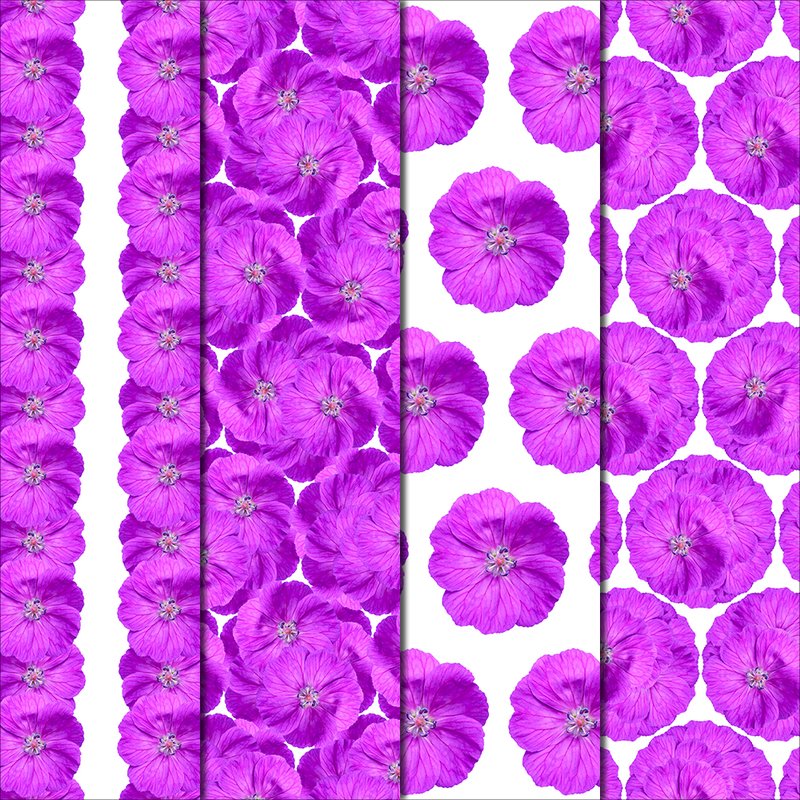 In this pack you will find 12 unique decorative papers, created entirely with digital Geranium flowers. 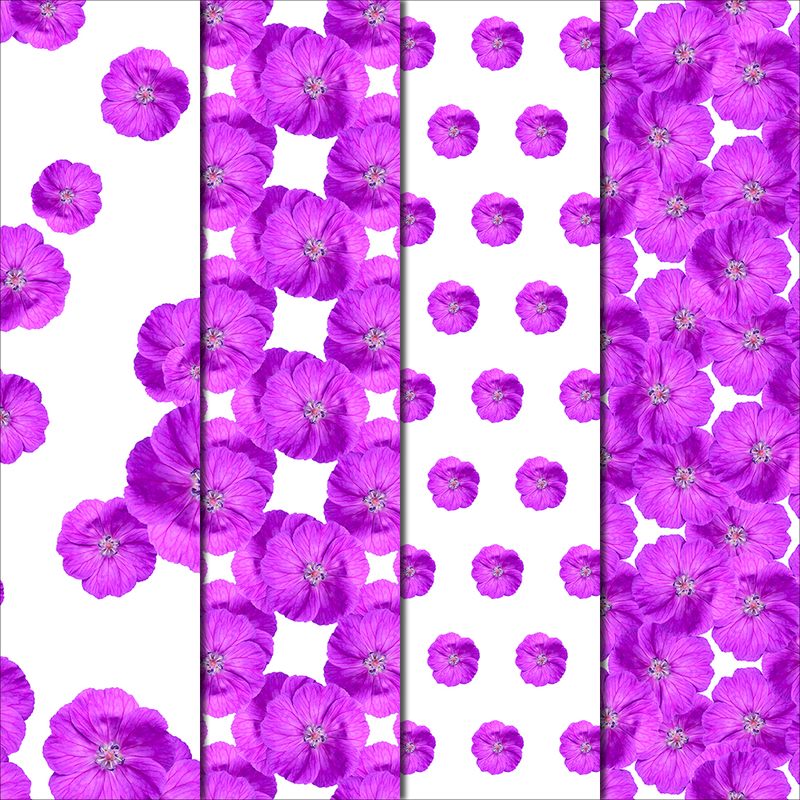 The Cranesbill Geranium flower featured in these patterns is delicate yet bold! This little flower is remarkably bright with it’s papery magenta petals. The papers created with these blooms are full of fun! The patterns in this pack are all made with a WHITE background.